Unit 7: What fruit is this? 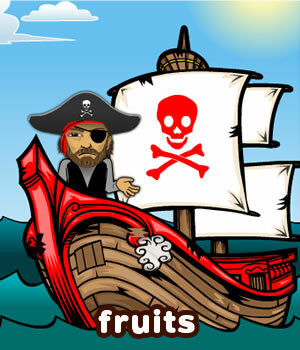 EFL/ESL young learners will learn the names of fruits in English. 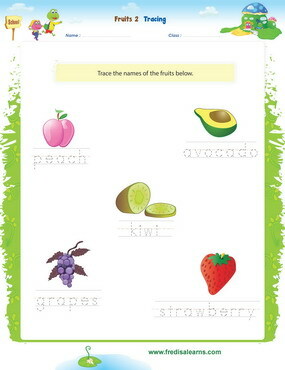 Build essential vocabulary on fruits which will be useful in other lessons. Introduce the fact that singular nouns beginning with a consonant sound use the article ‘a’ and those beginning with a vowel sound use the article ‘an’ at the beginning. 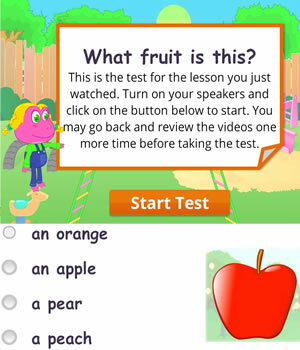 In this Kids English lesson learn to ask simple questions using the question word ‘what’. Learn to ask ‘yes’ or ‘no’ questions (close ended questions) using ‘do you’. The worksheets below are useful for offline and classroom activities. 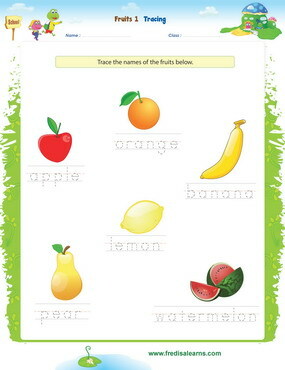 These printable exercises directly correlate with the above lesson 'Fruits'. Every worksheet comes with an answer sheet on the second page for educators. 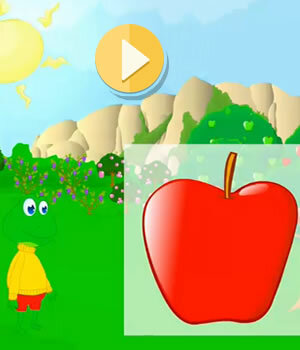 Freddie and Lisa are at an orchard asking about the different names of fruits and expressing their like and dislike for them.